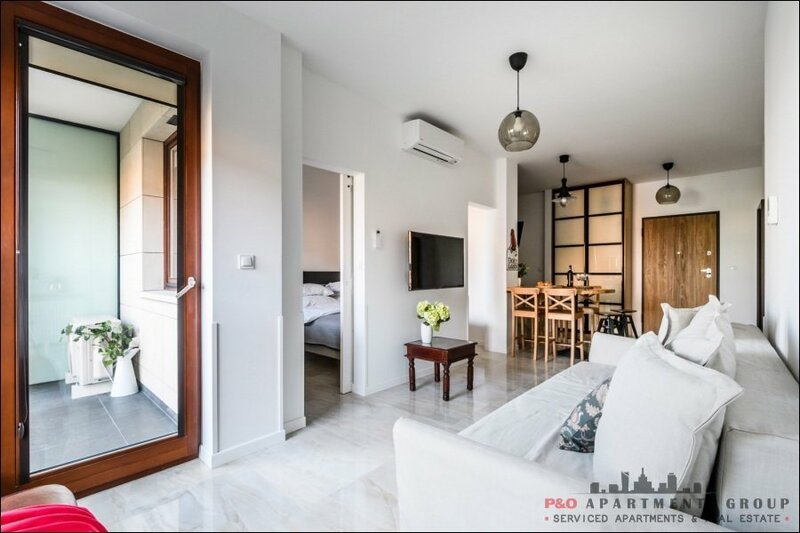 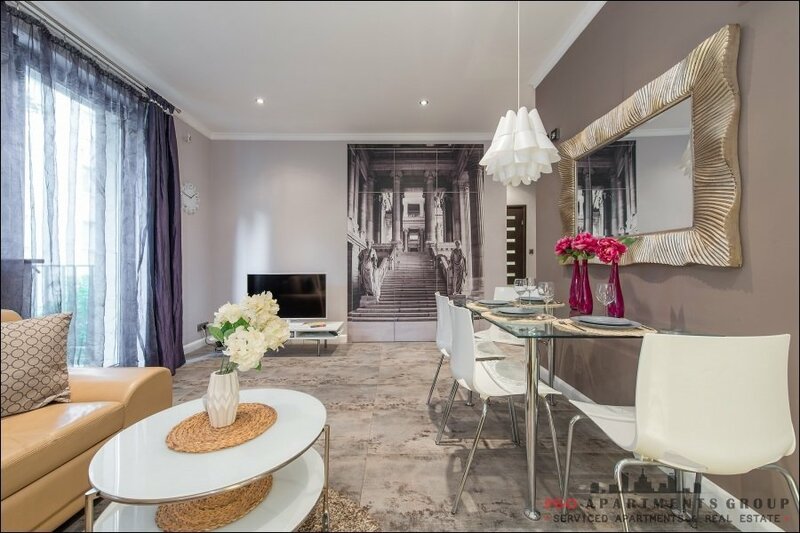 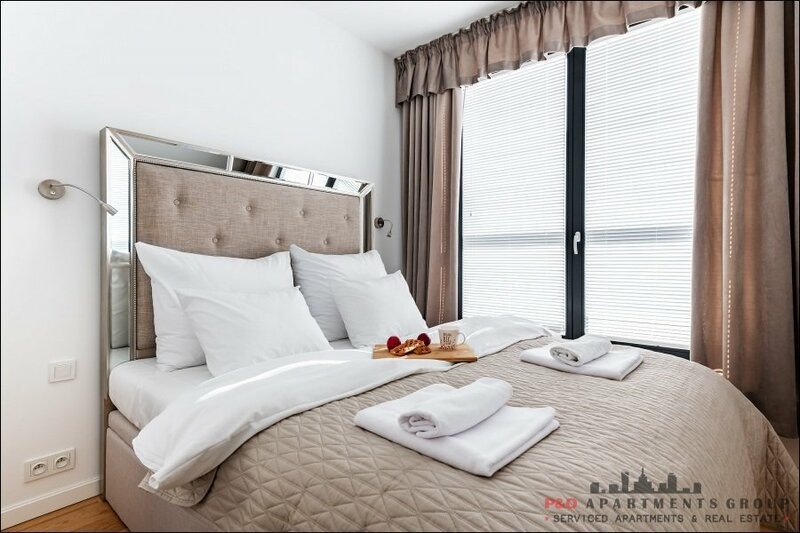 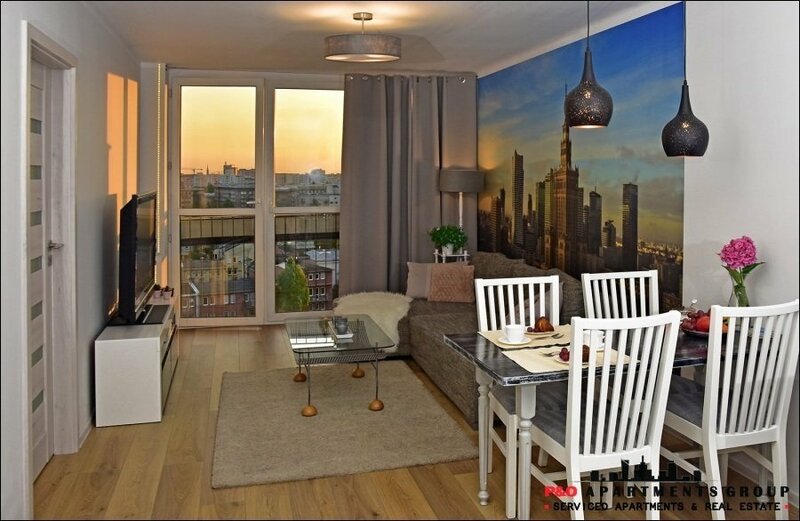 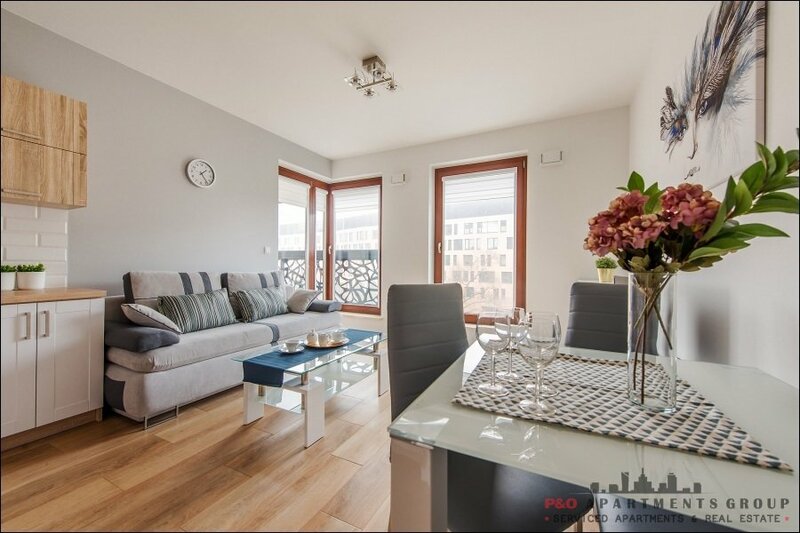 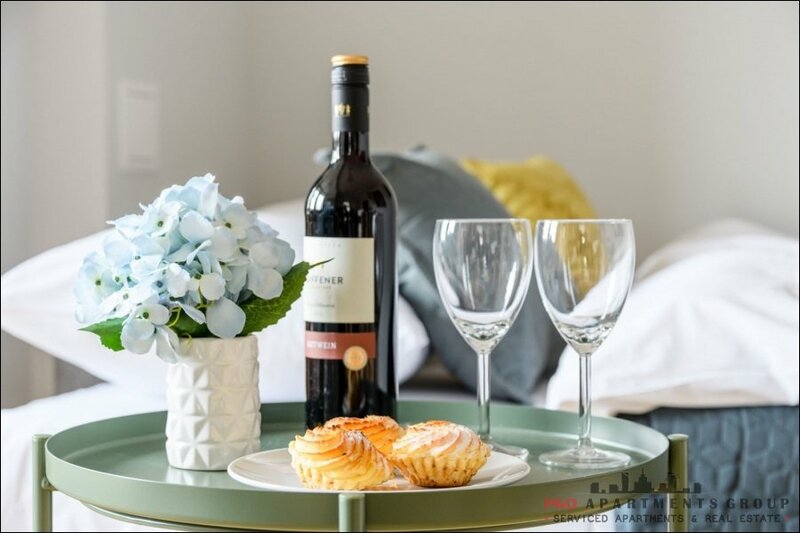 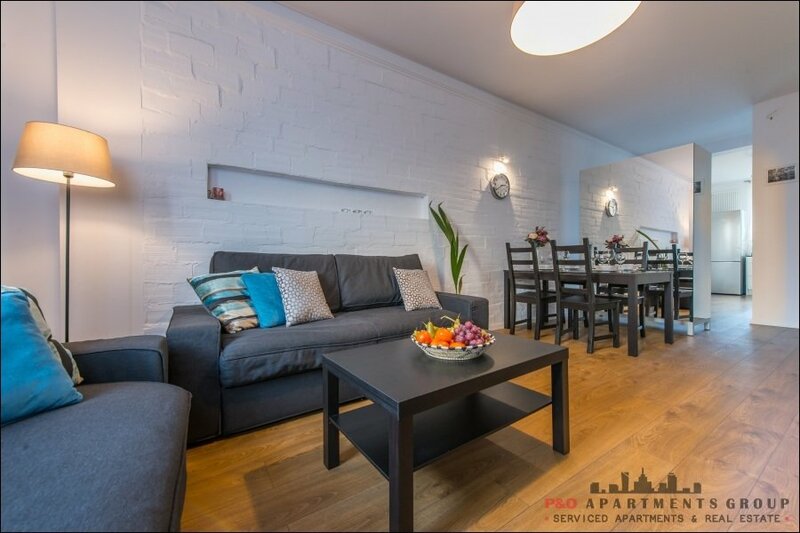 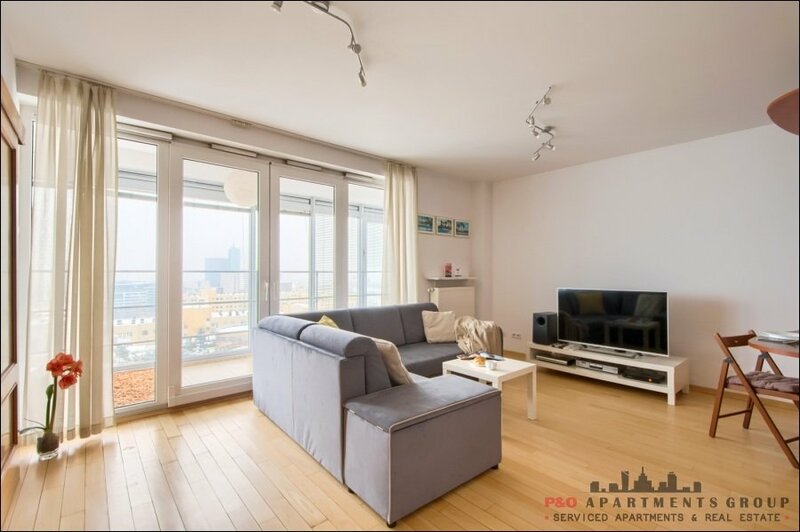 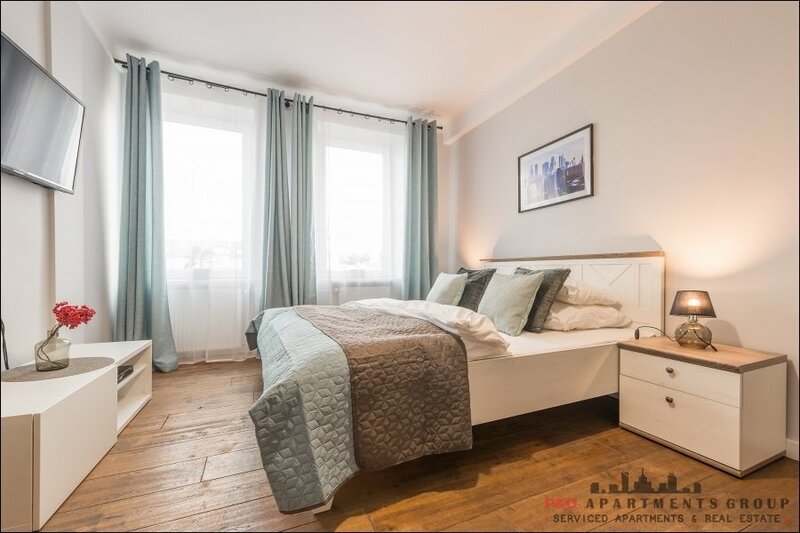 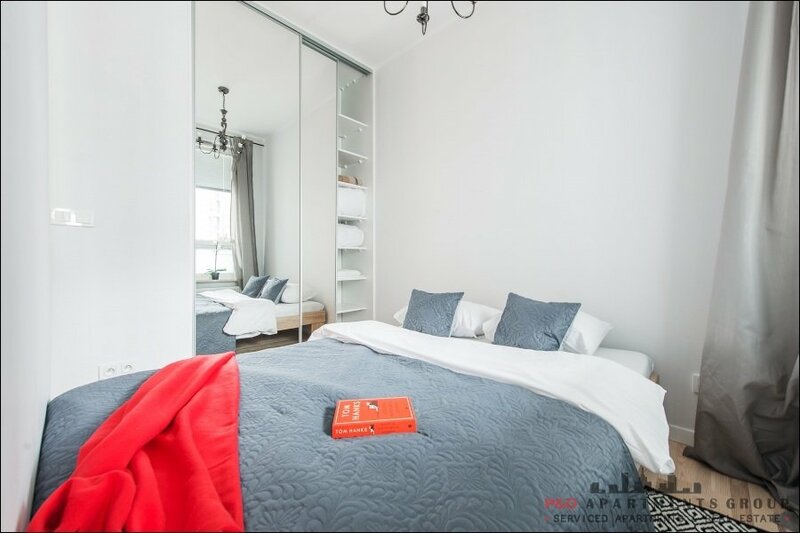 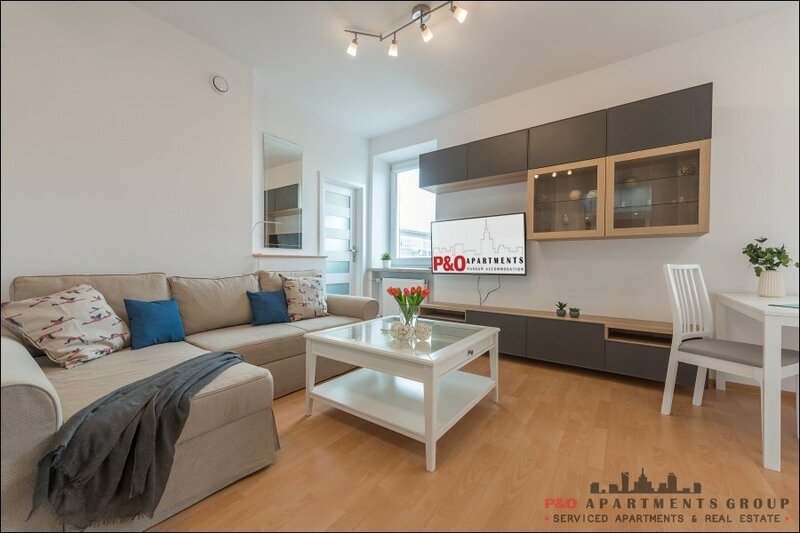 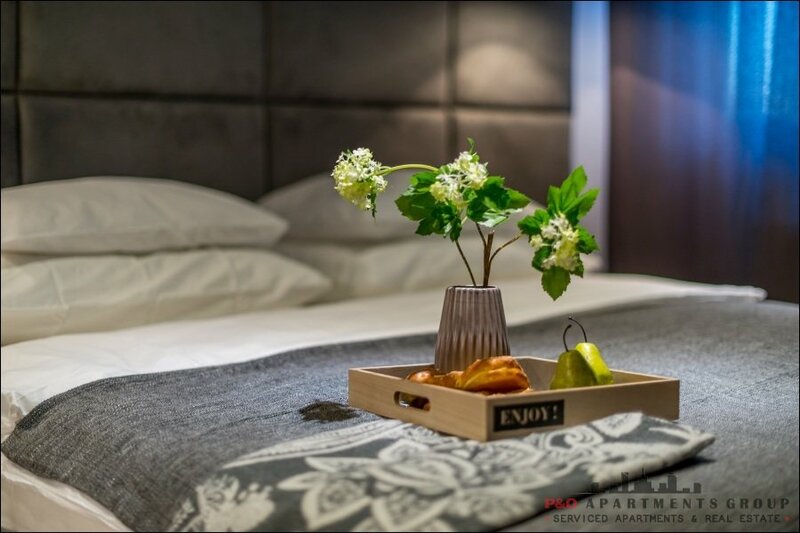 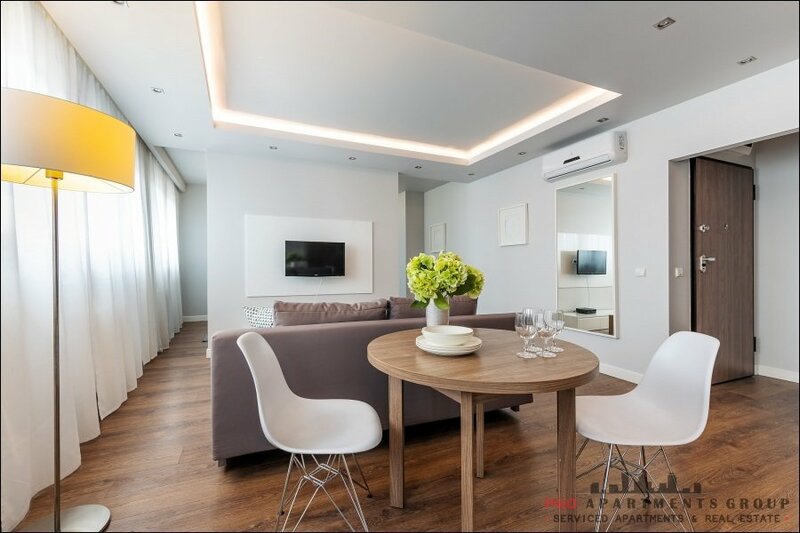 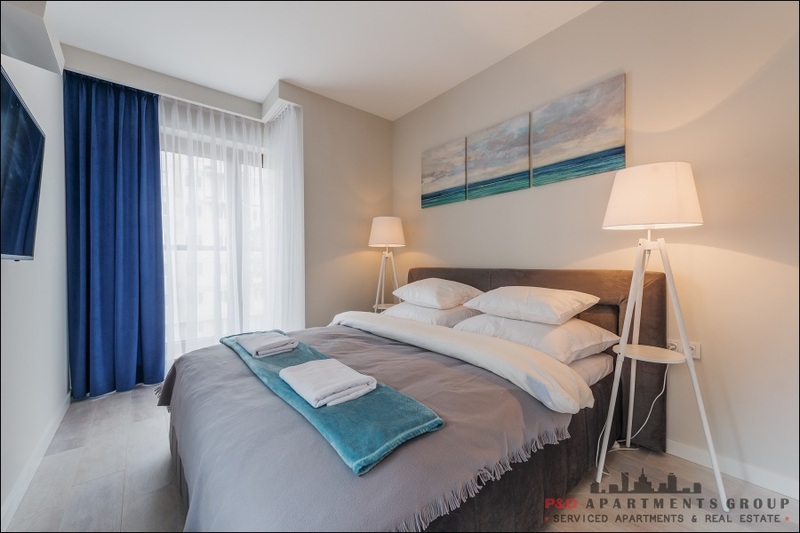 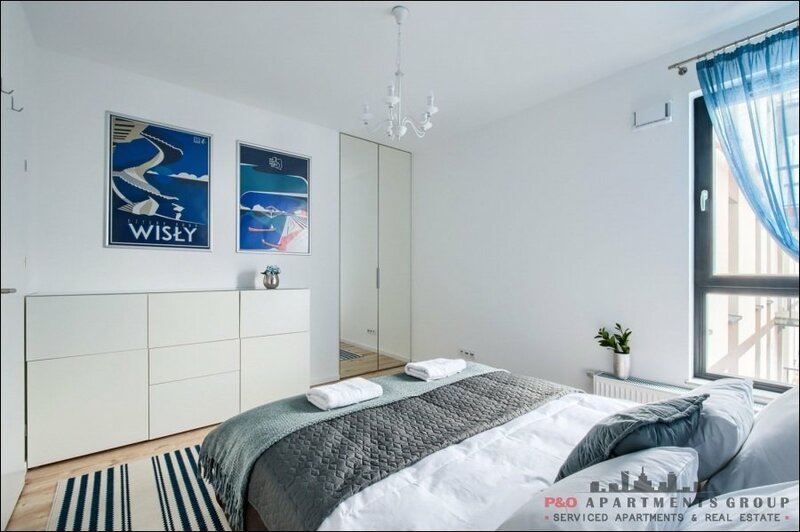 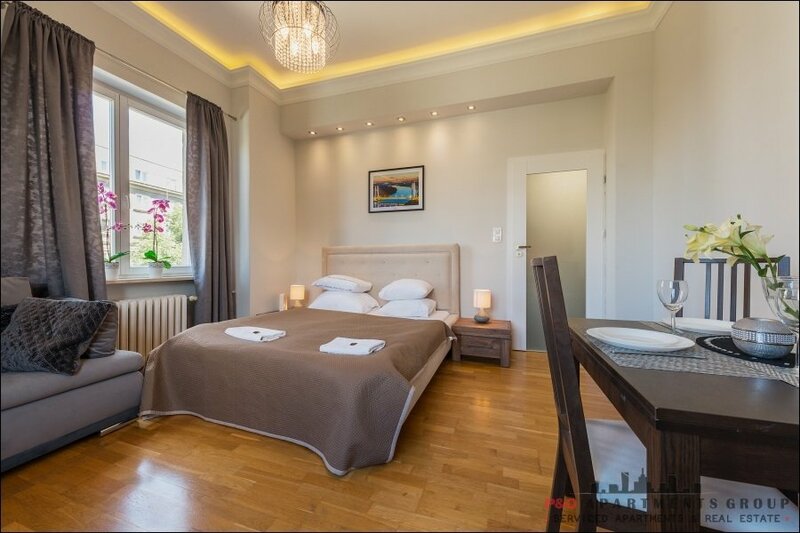 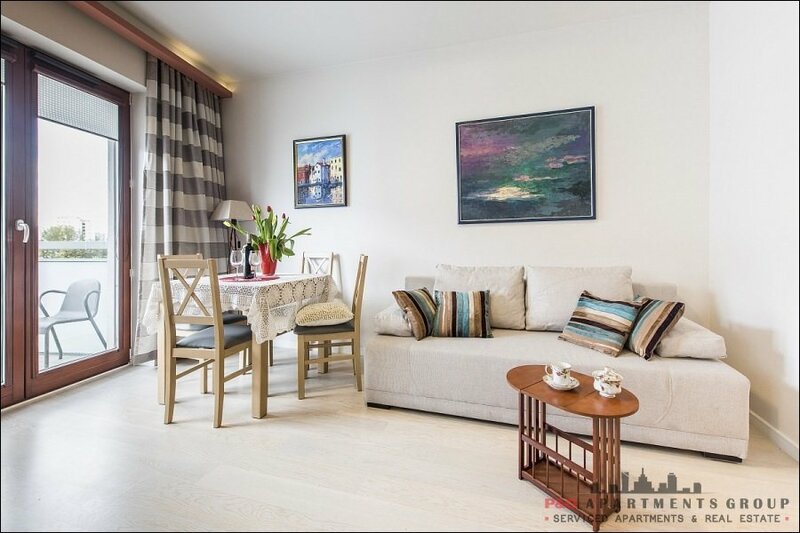 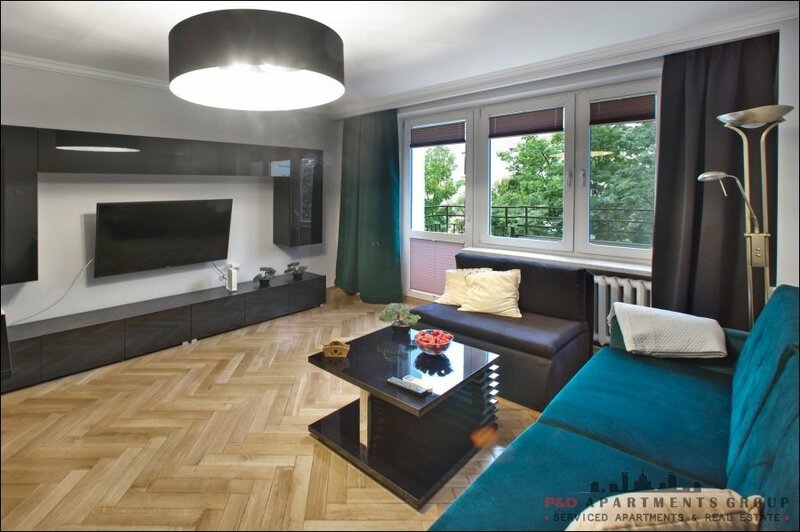 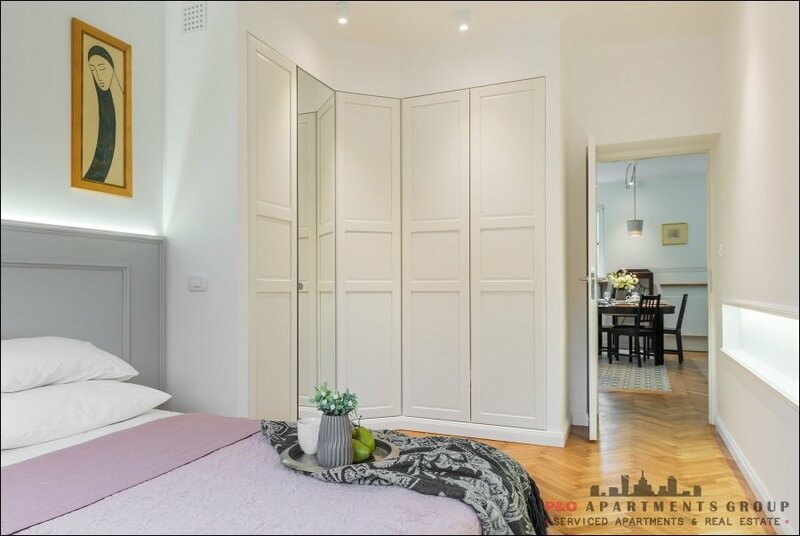 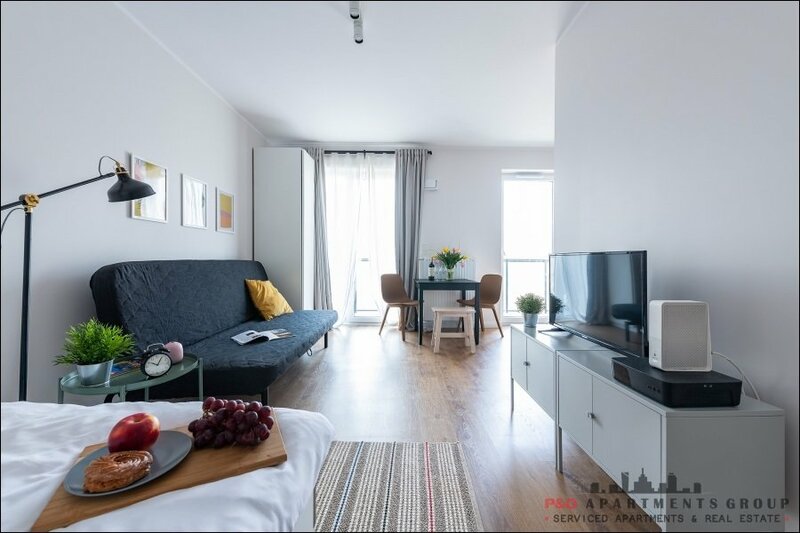 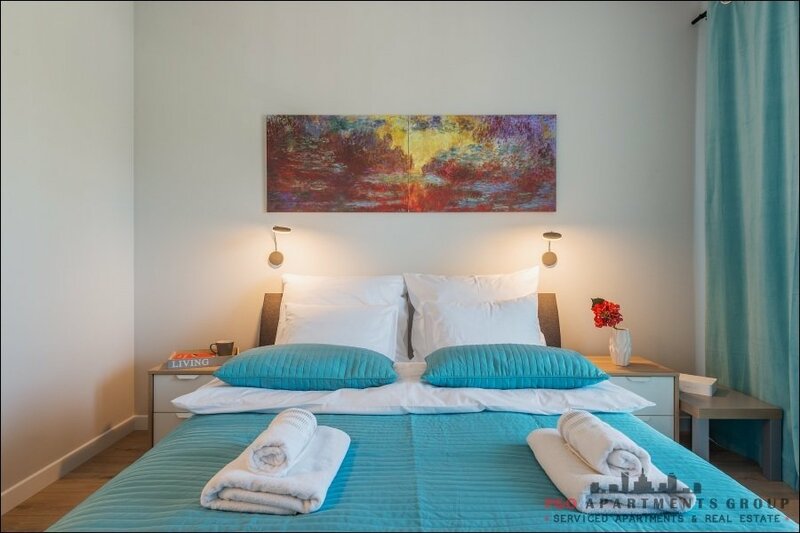 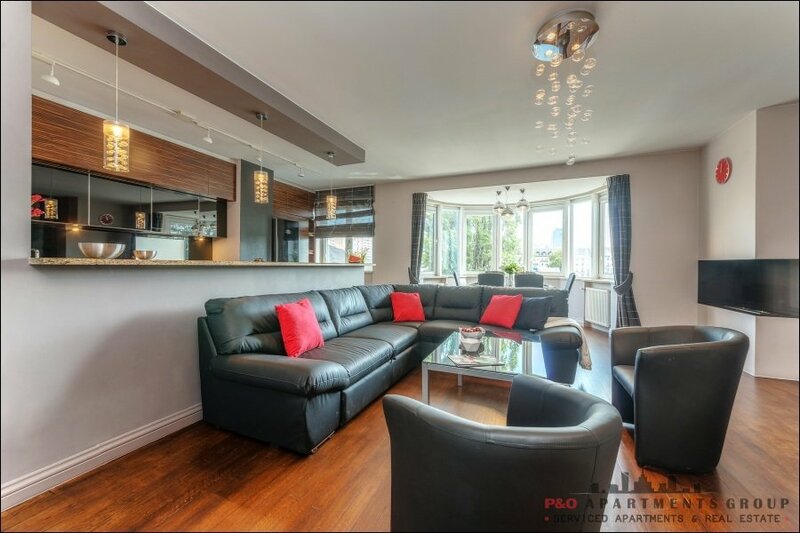 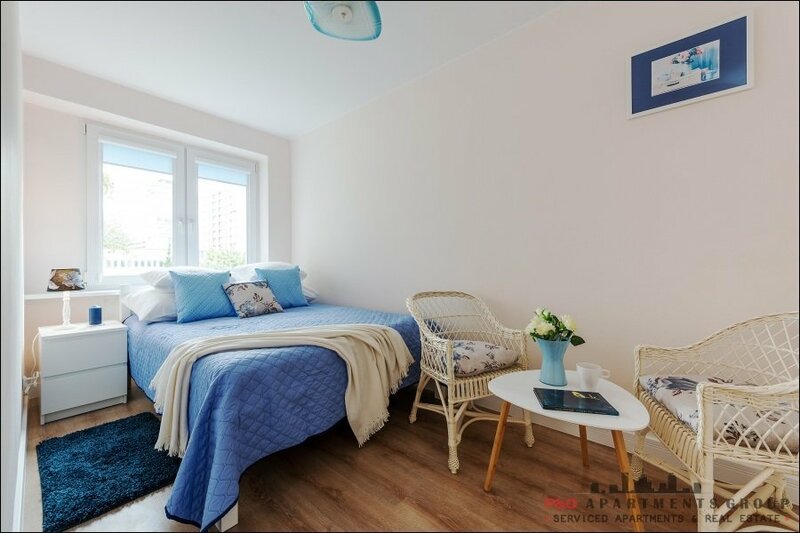 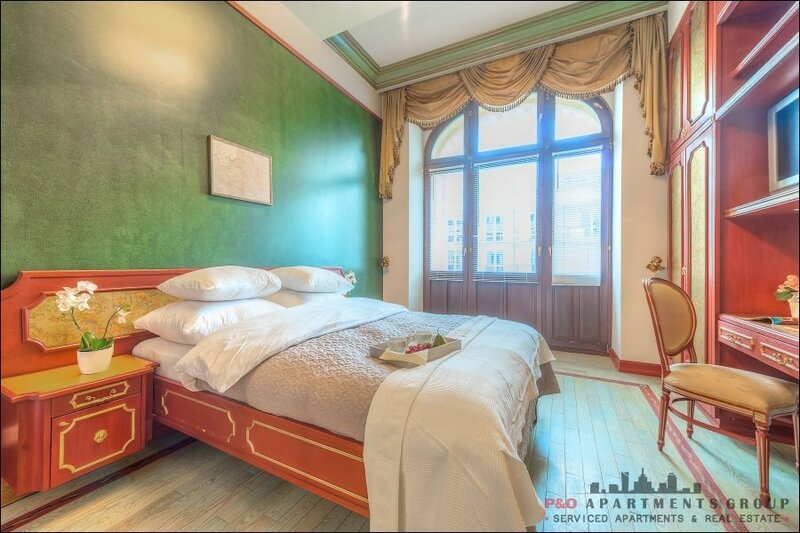 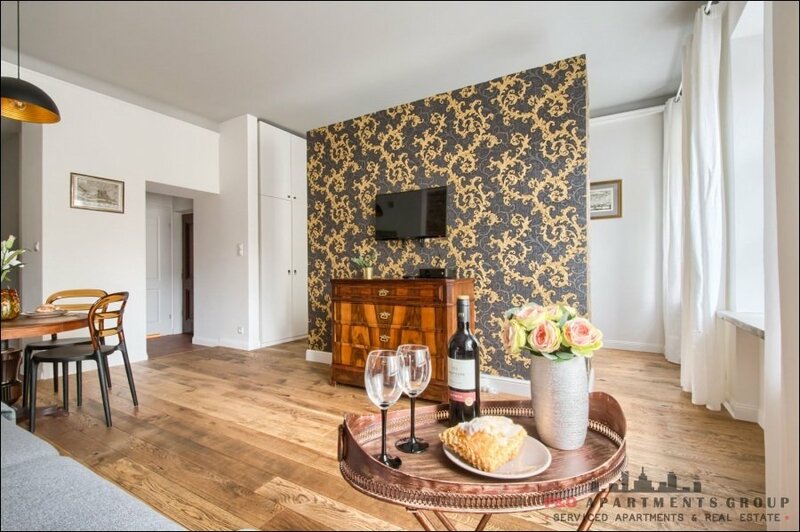 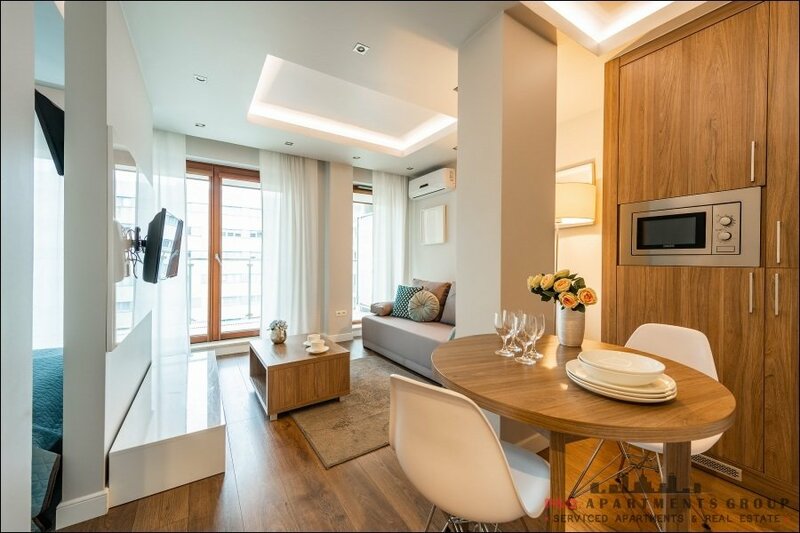 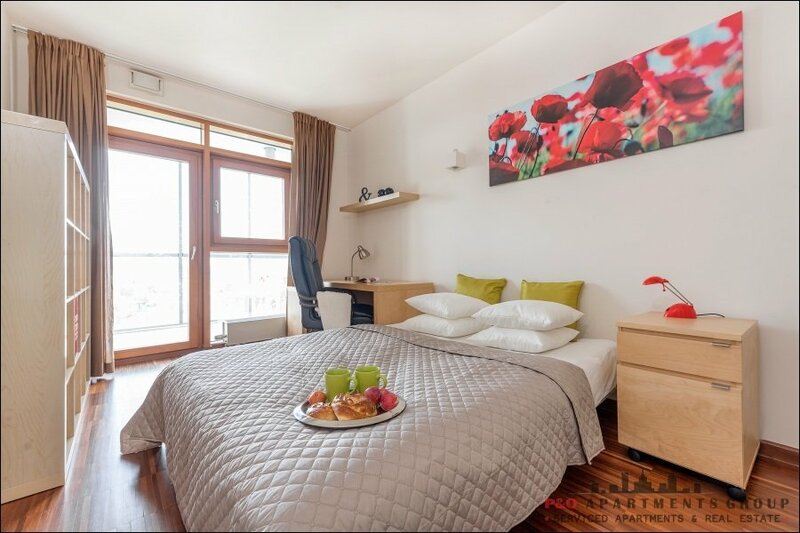 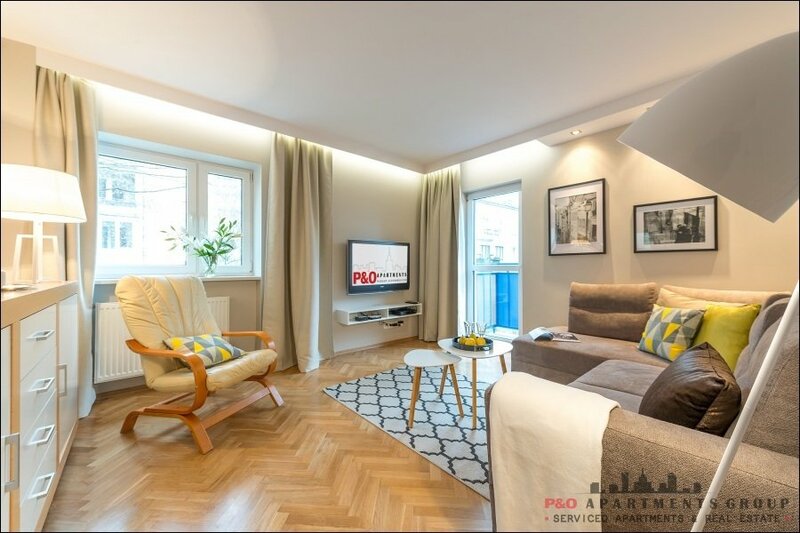 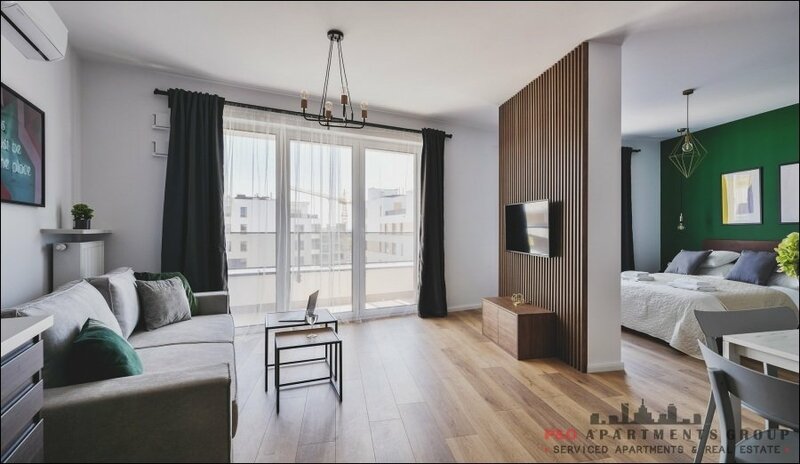 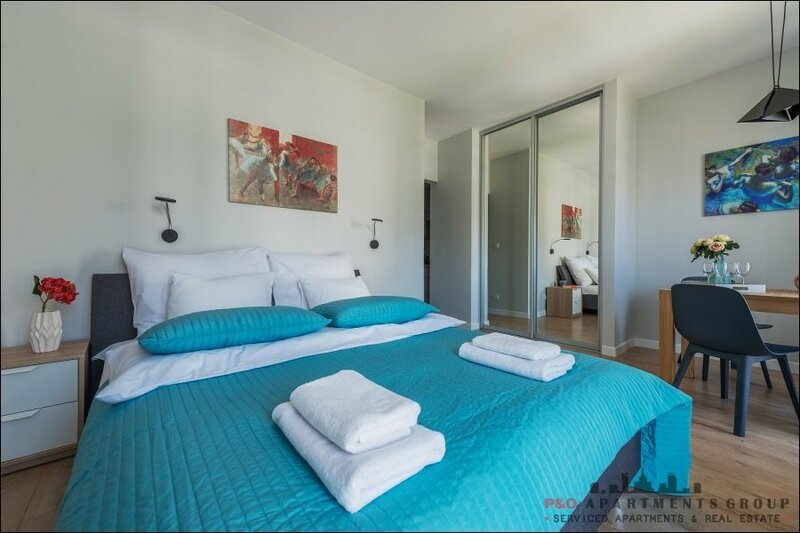 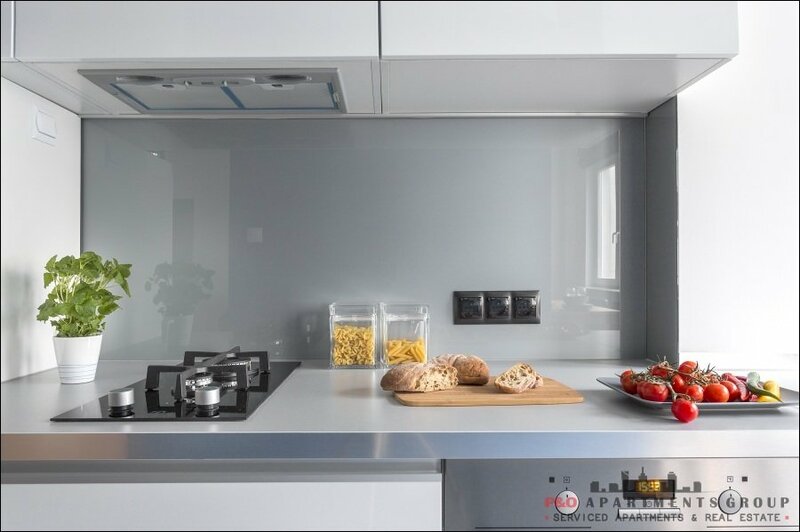 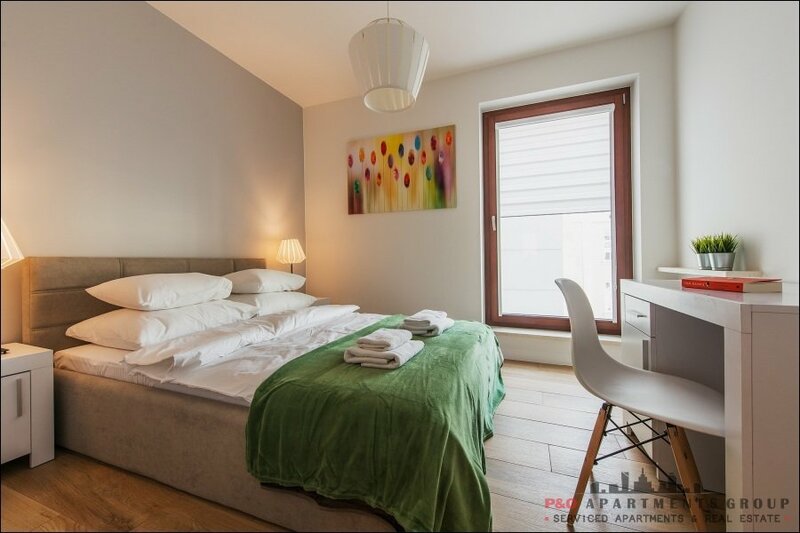 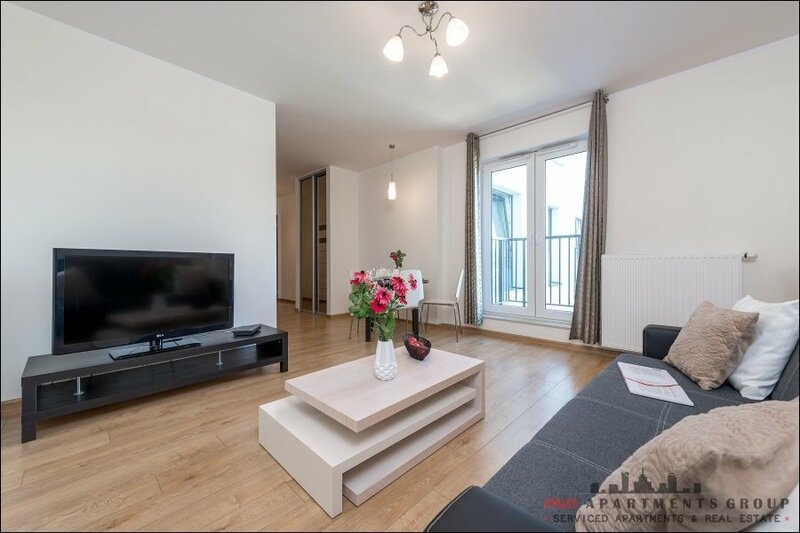 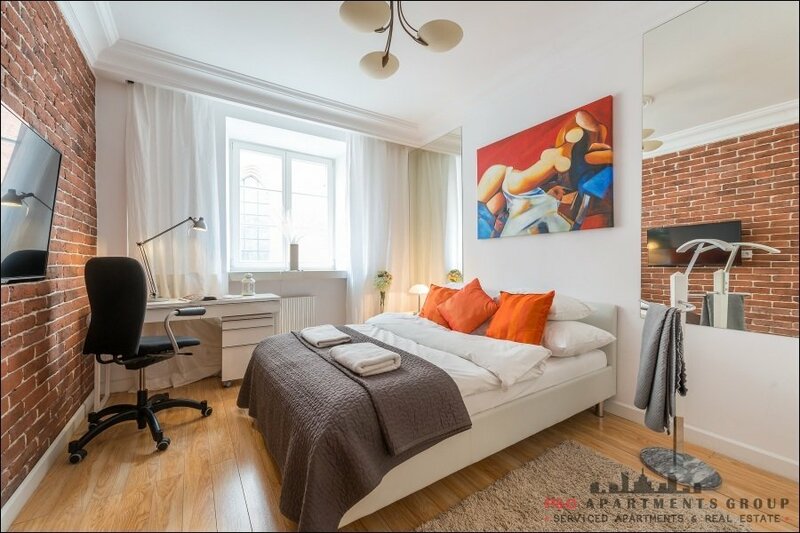 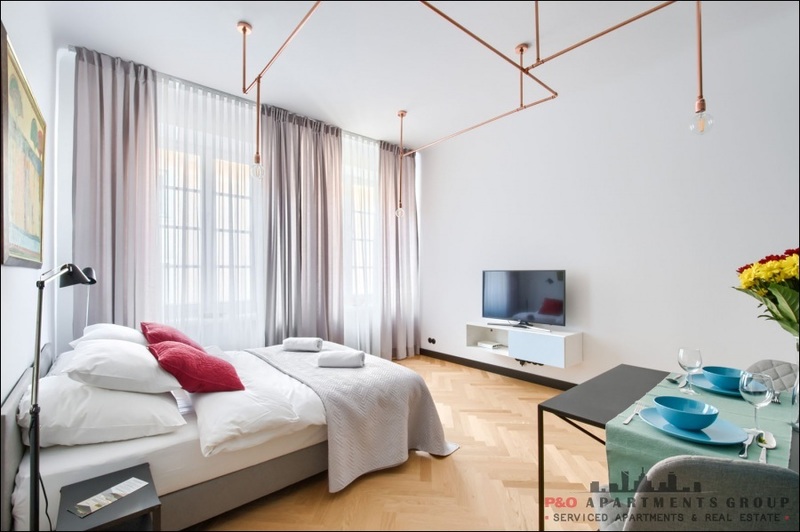 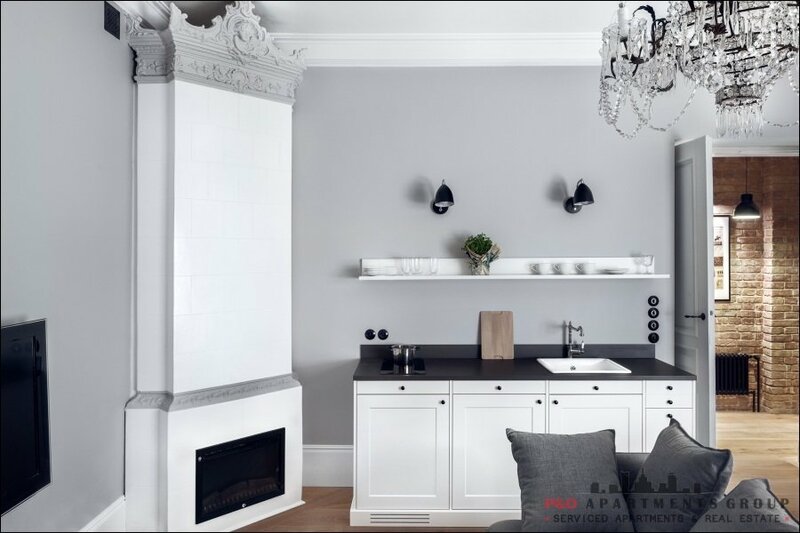 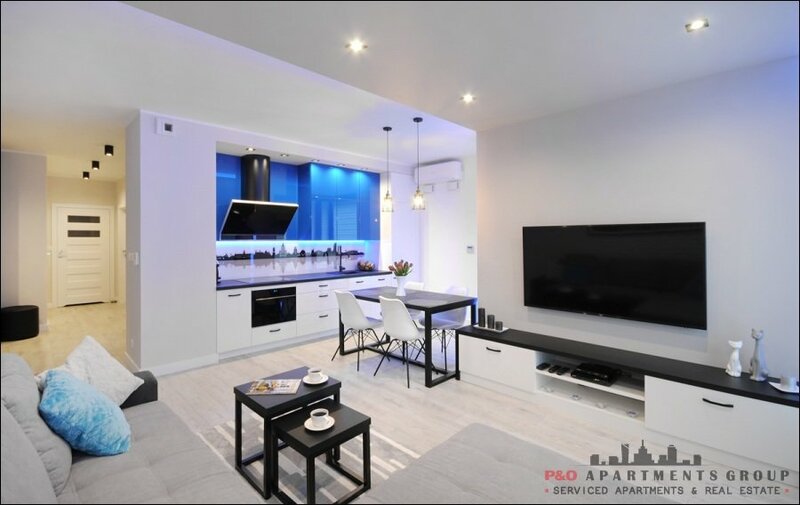 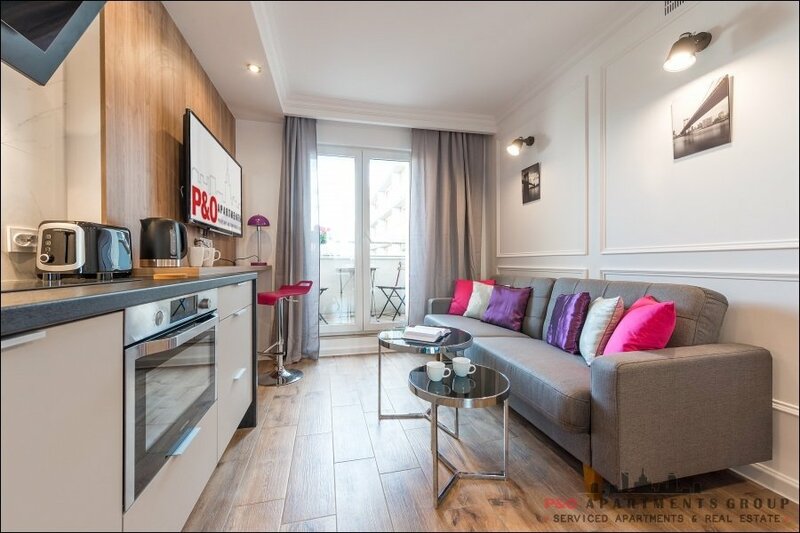 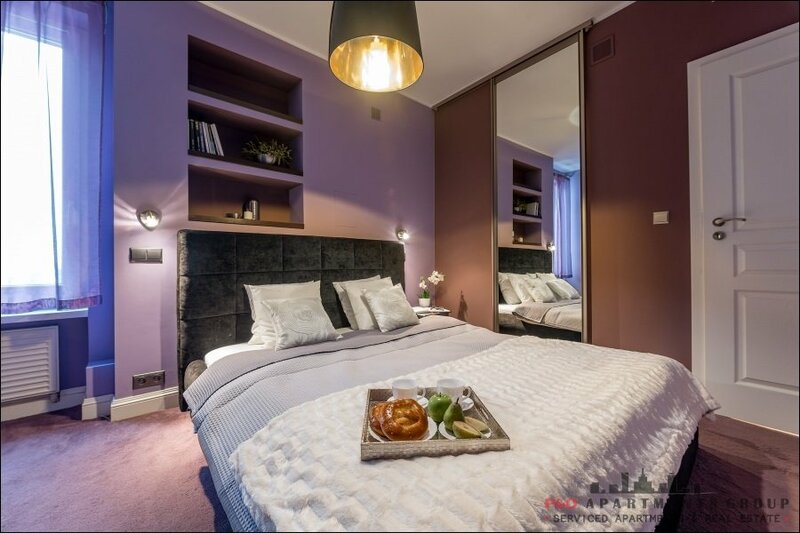 Exclusive & smart apartment for 4 persons, decorated with the utmost care and attention to detail and modern hotel standards with ability to control electronics via the telephone application. 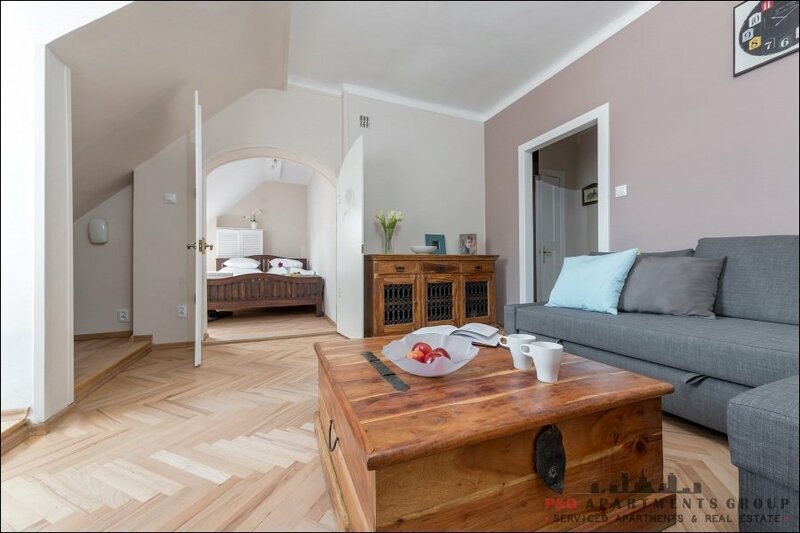 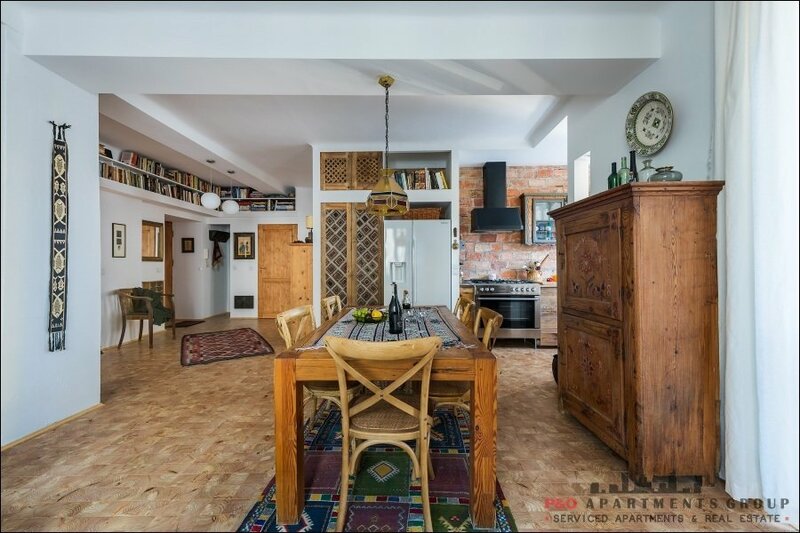 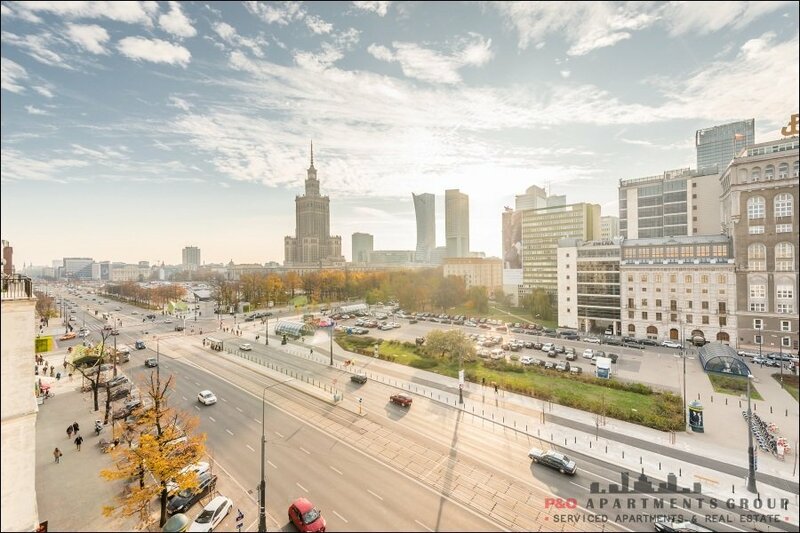 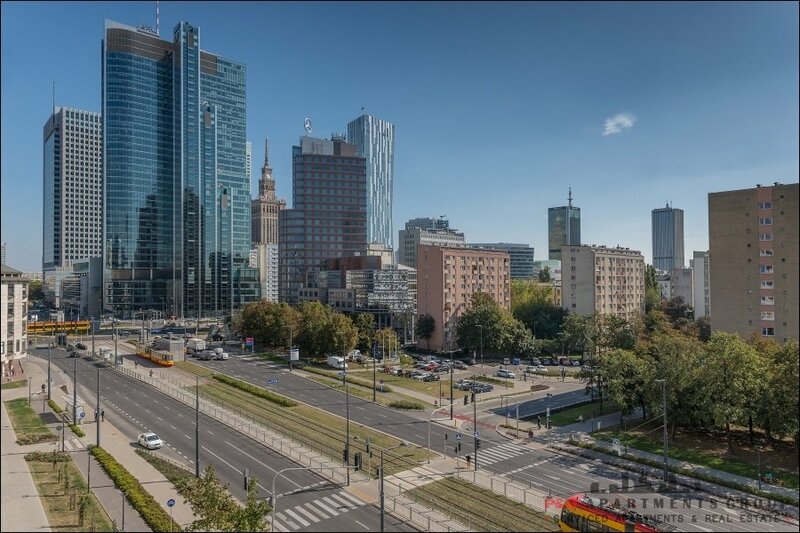 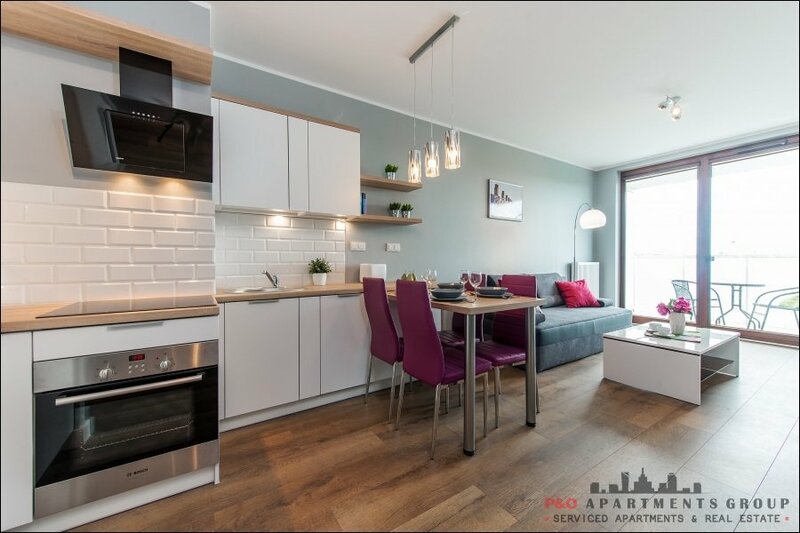 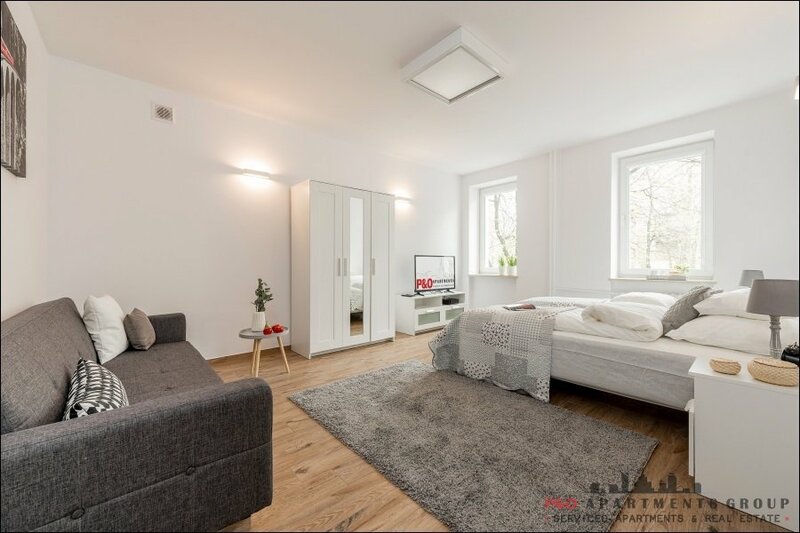 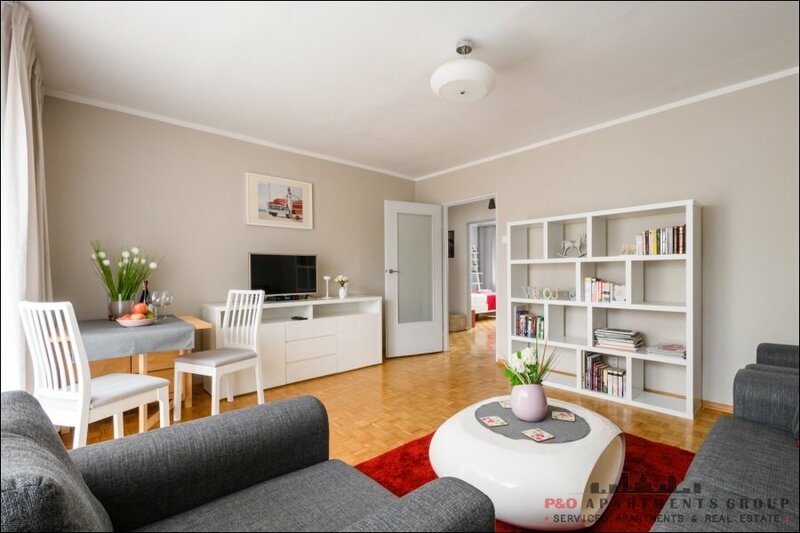 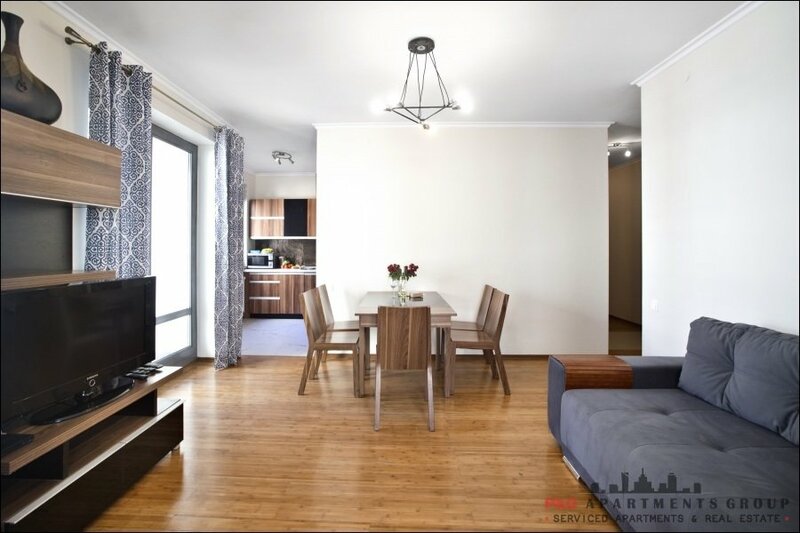 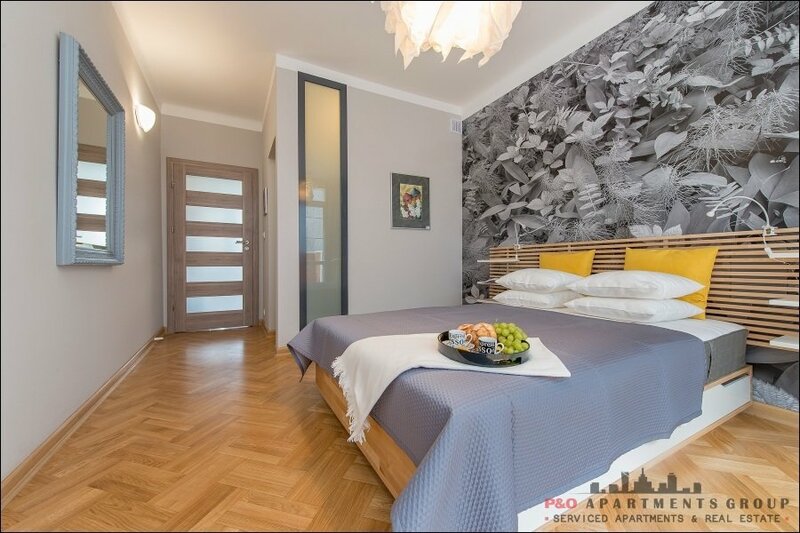 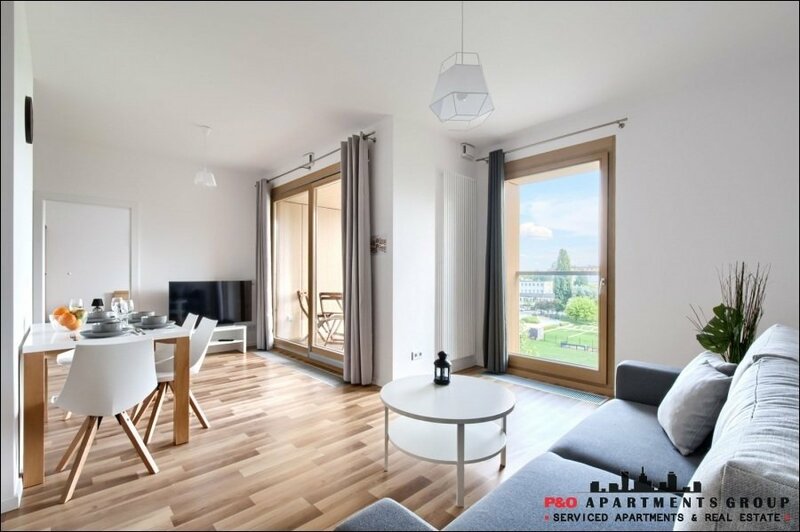 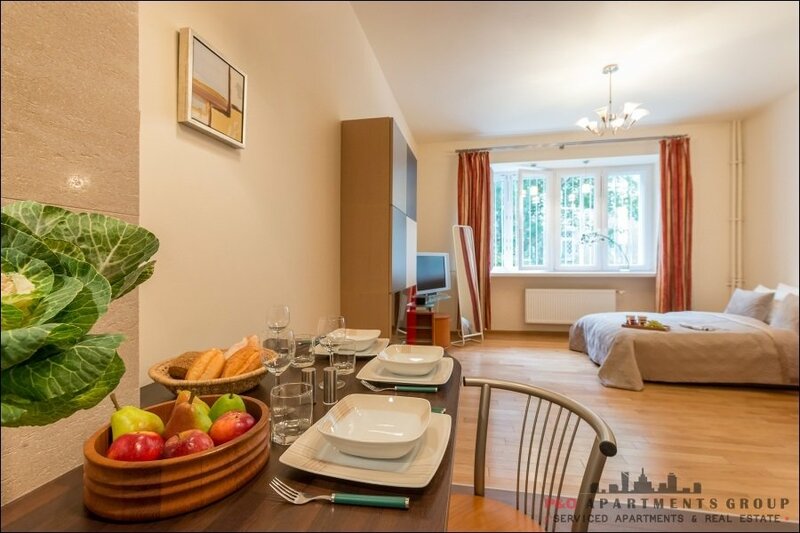 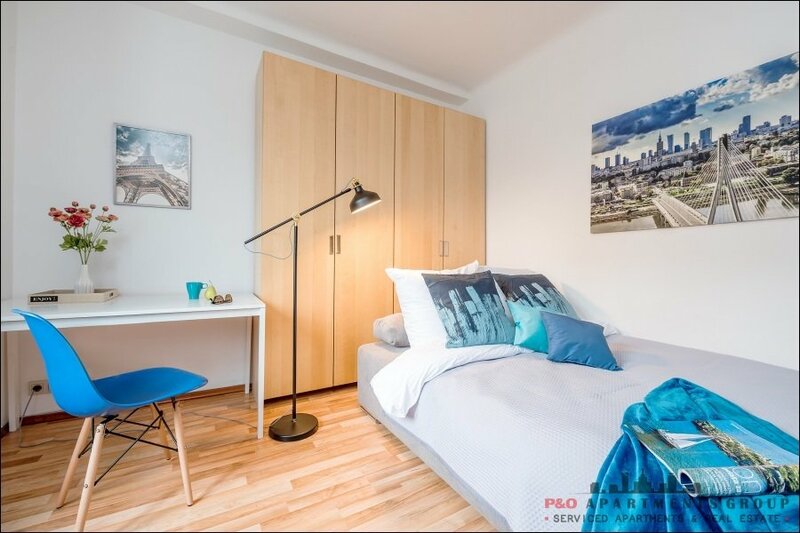 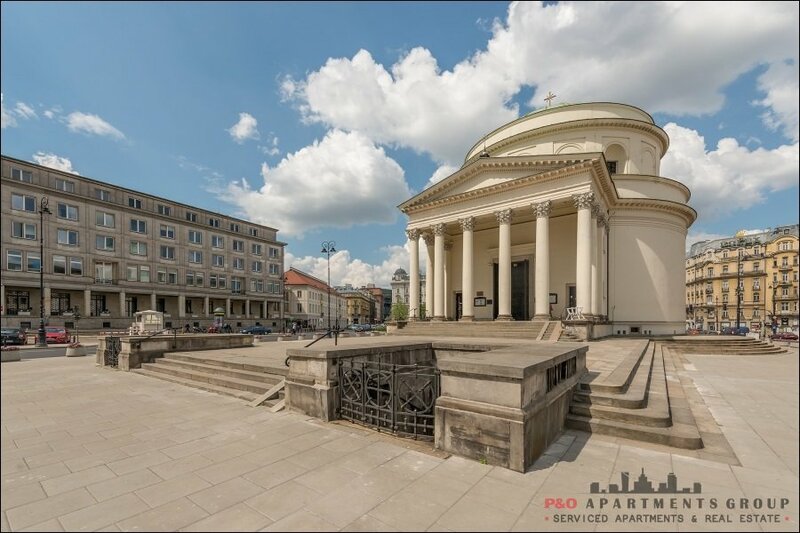 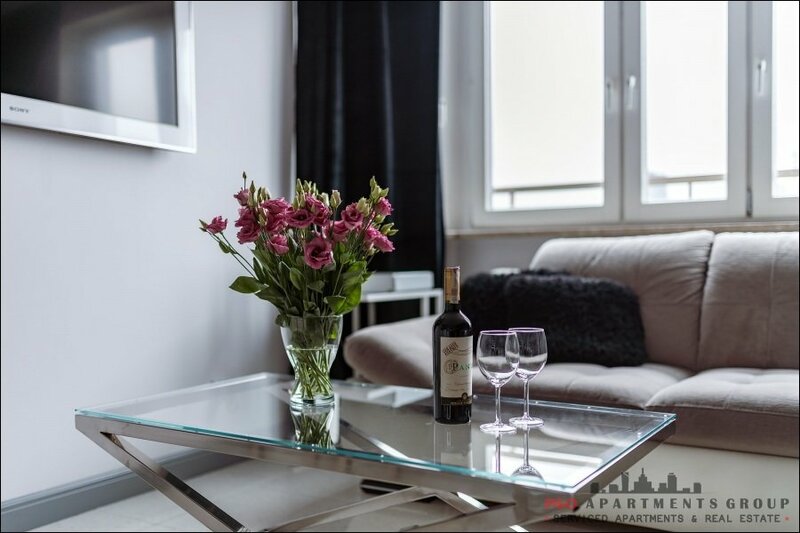 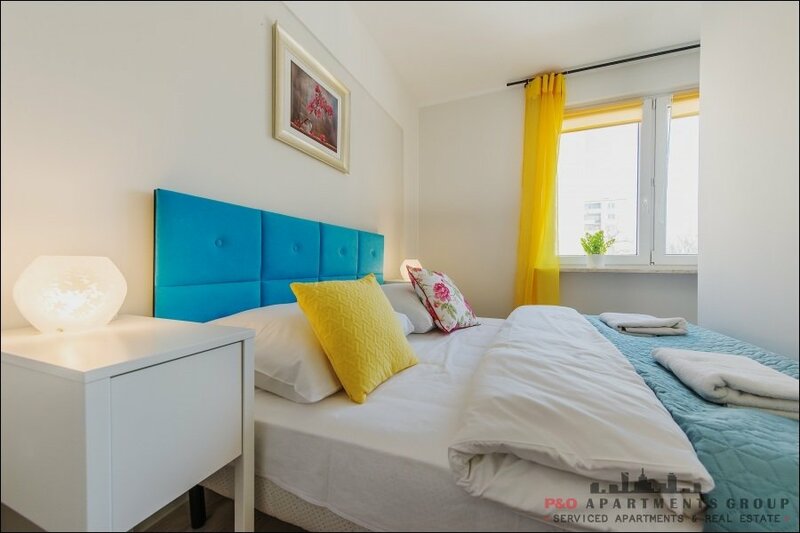 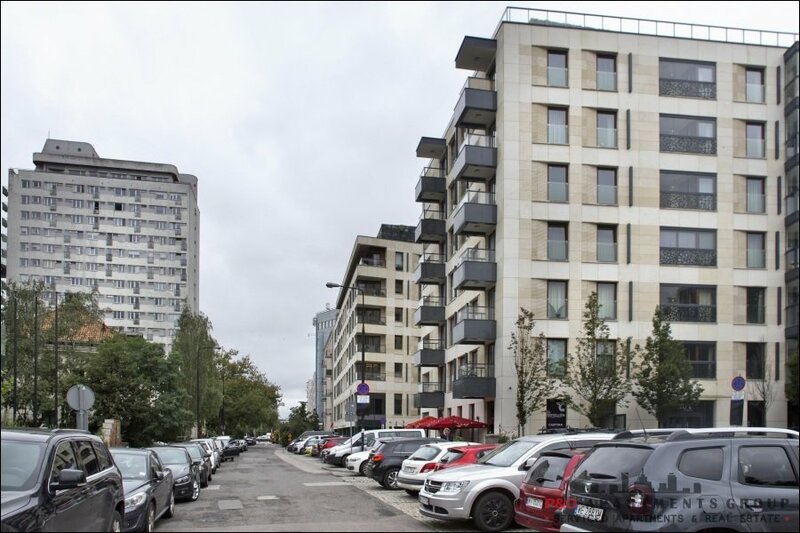 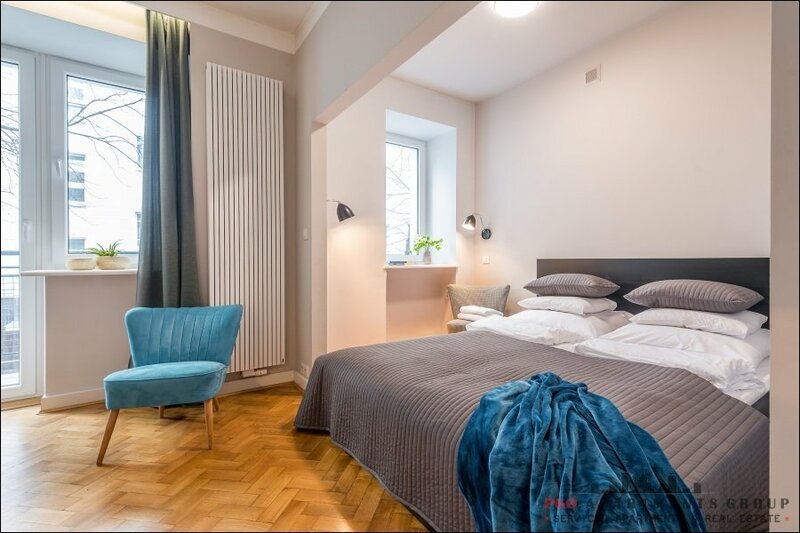 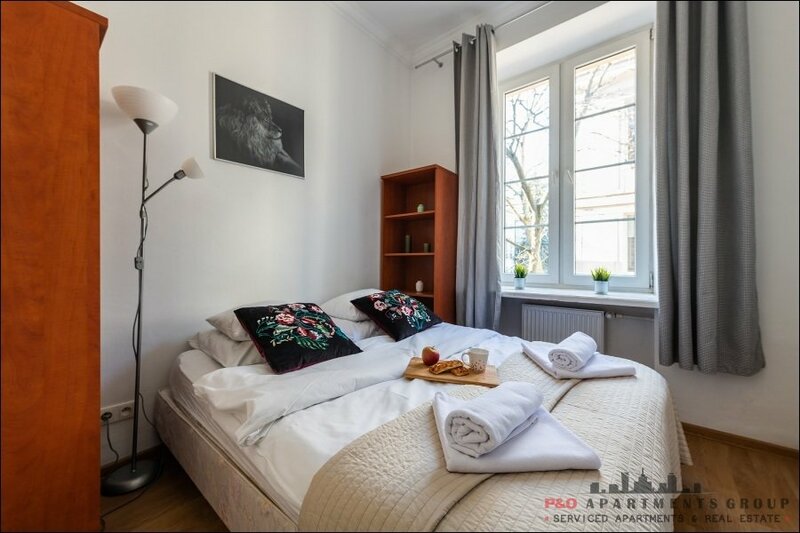 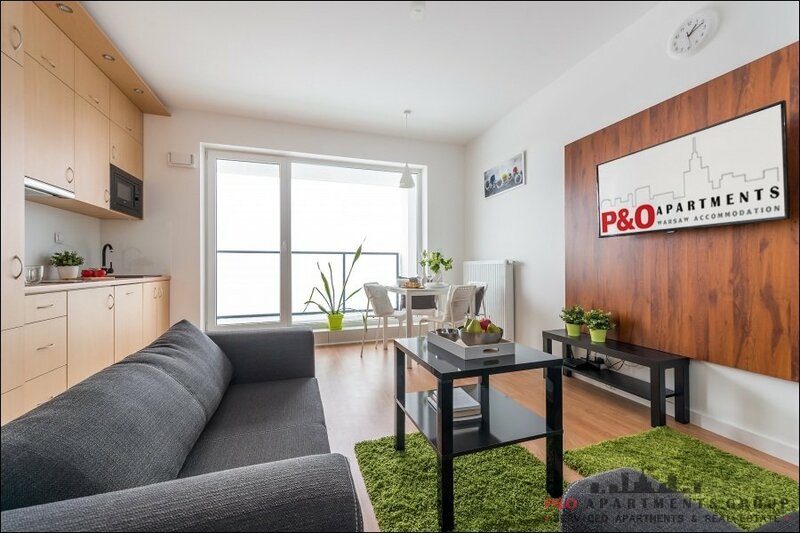 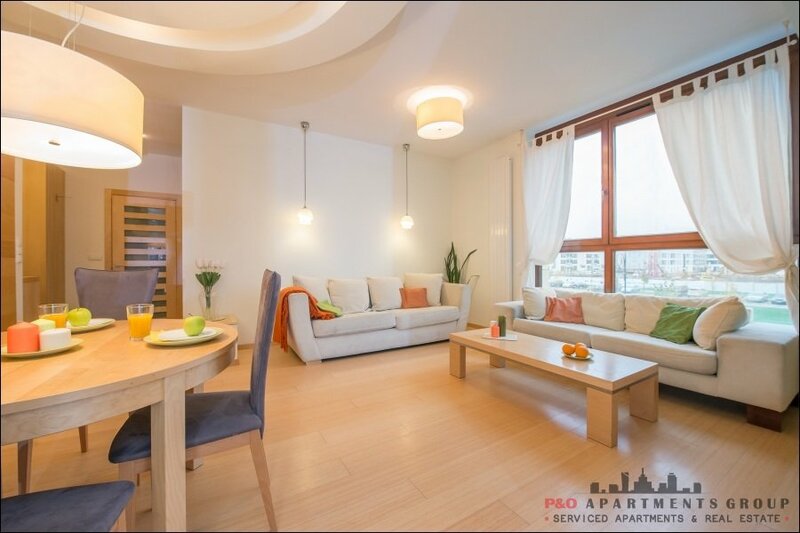 Situated in an excellent location - a modern building close to the hall of EXPO XXI Fair and Dworzec Zachodni Railway Station with parking place and 24/7 security. 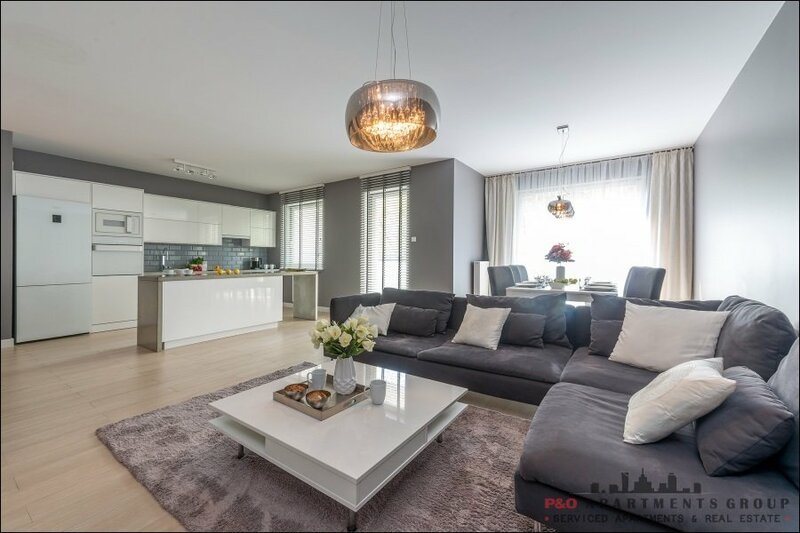 Apartment in neutral colors impresses with its design and features. 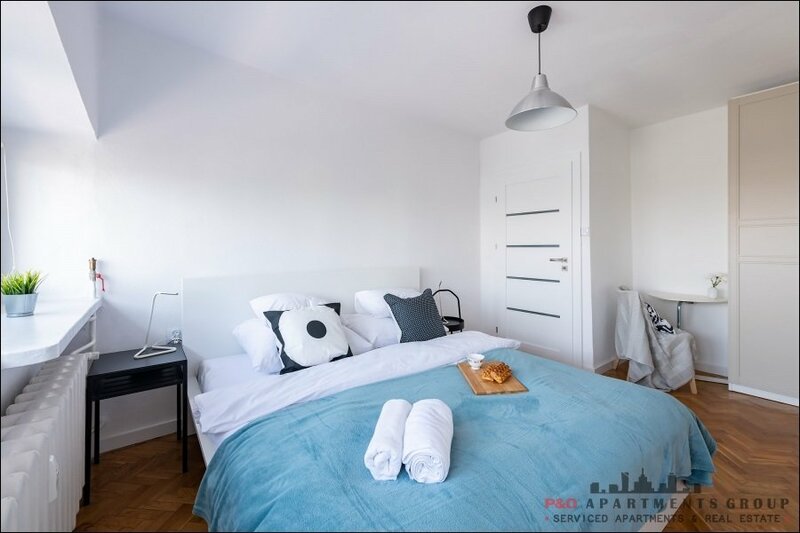 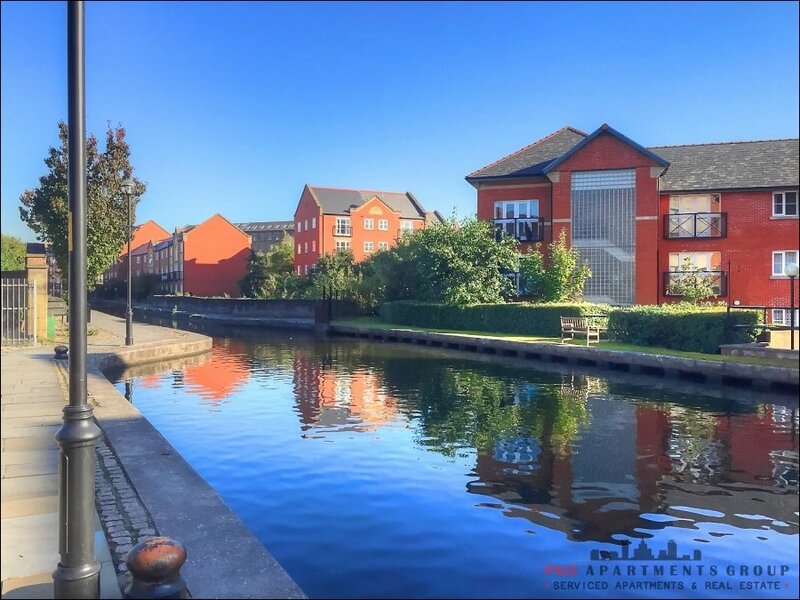 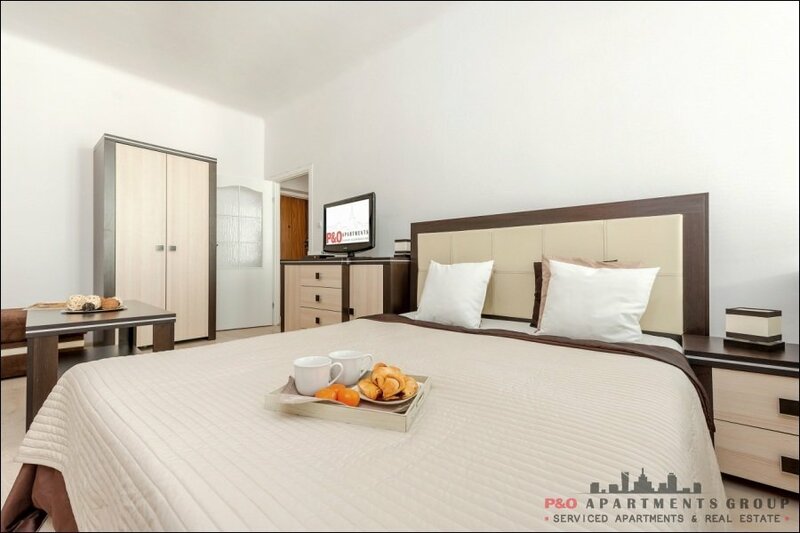 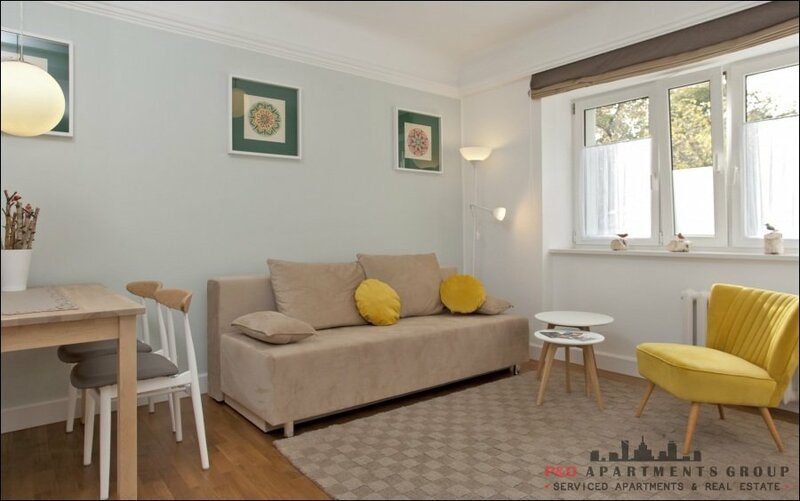 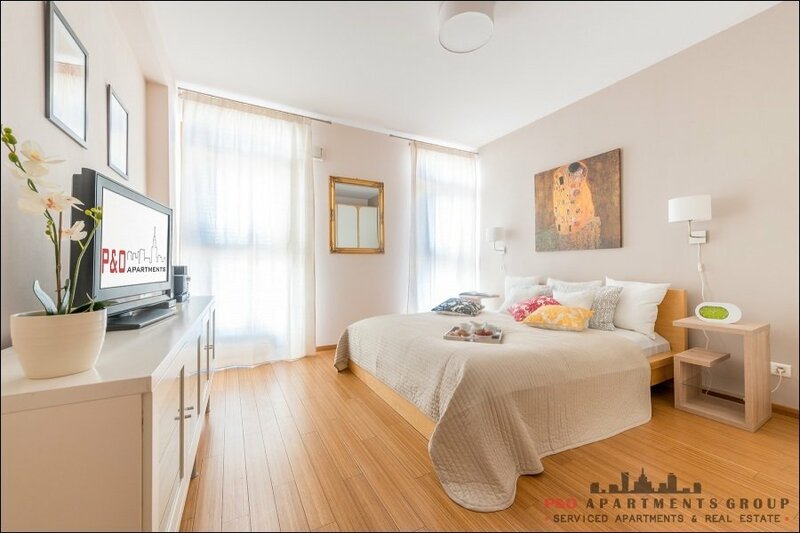 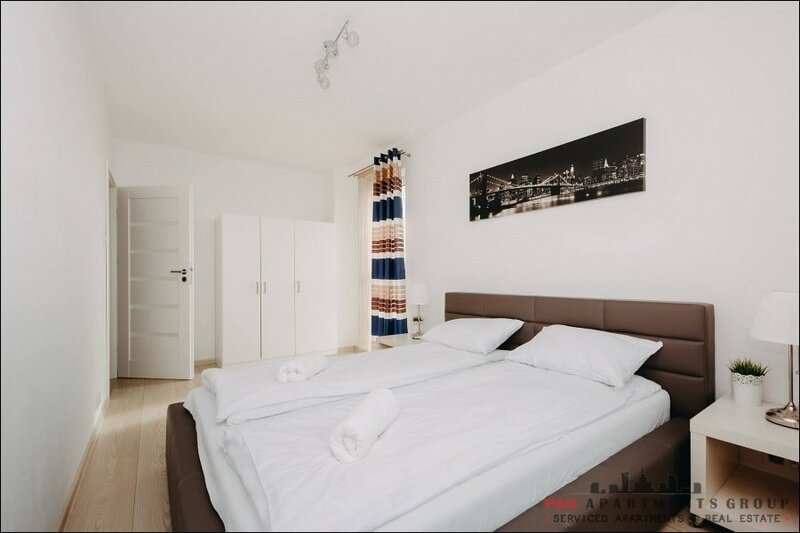 The apartment consists of a bedroom, where a double king-size double bed is, a wardrobe, TV; bathroom with automatic shower and WC; the living room has a sofa bed, a TV and a table with chairs. 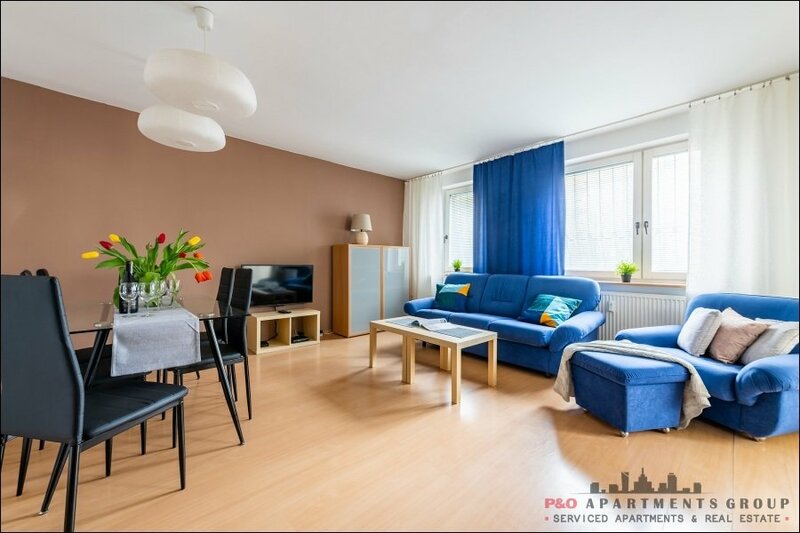 You can use Wi-Fi acces in the whole apartment free of charge. 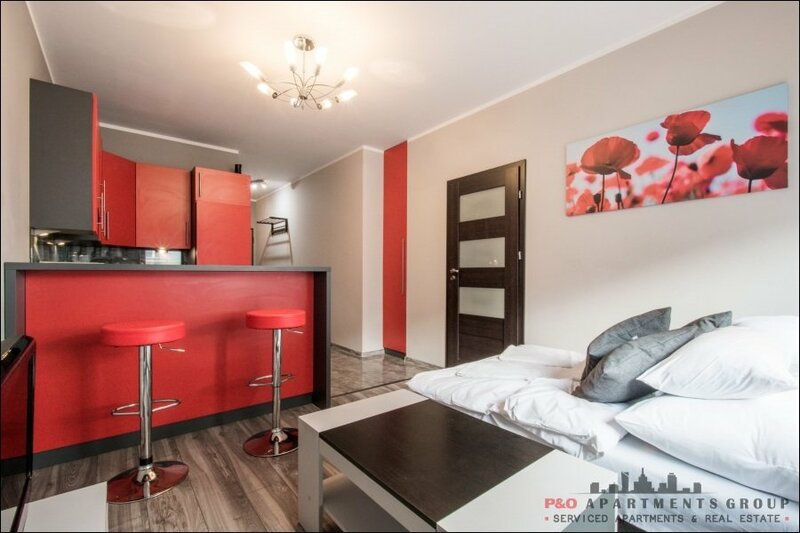 Kitchen is also fully equipped including coffee machine. 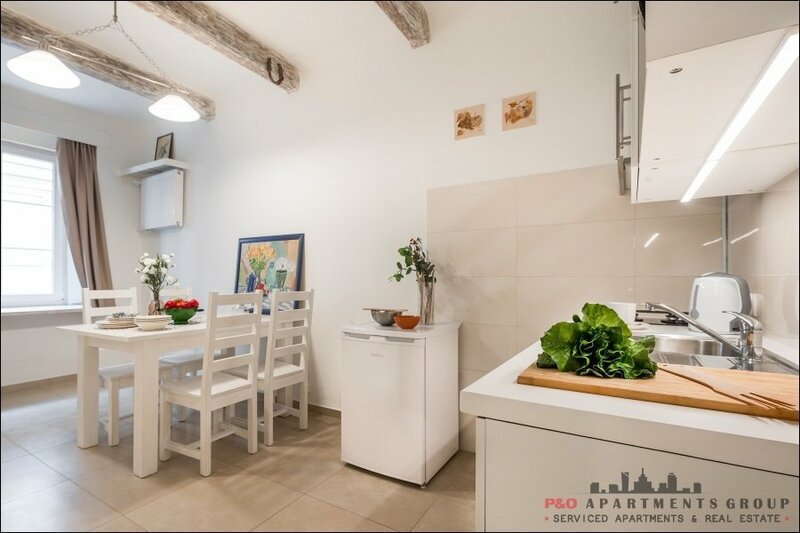 A small grocery shop is located downstairs. 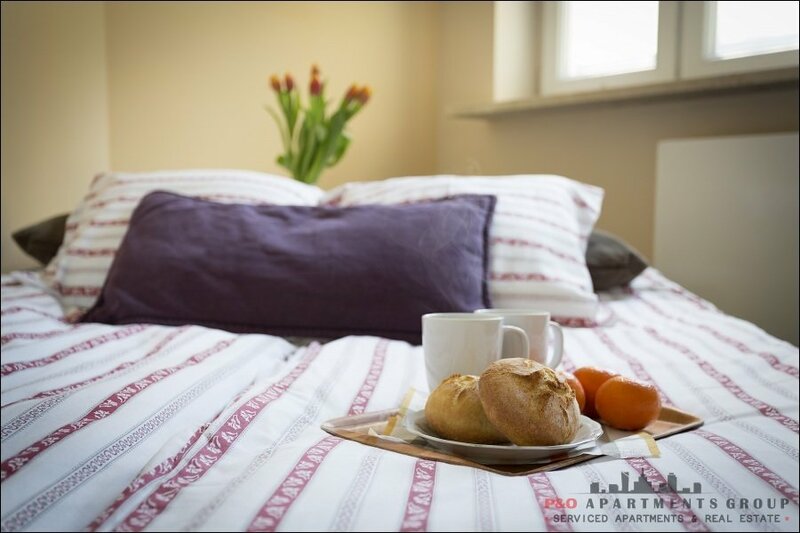 The service includes a set of towels and bed linen and basic toiletries.